What is a Heavy-Duty Drill? A heavy-duty drill is capable of boring holes through most types of construction materials. 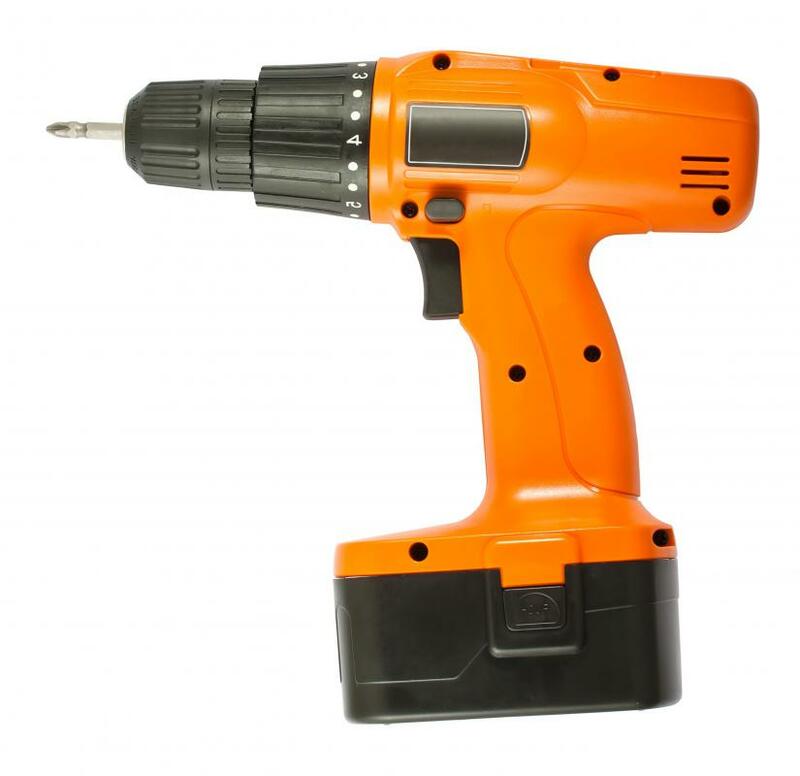 A heavy-duty drill is a hand-held power tool that is capable of boring holes in a variety of construction materials, including wood, metal, and concrete. Heavy-duty drills can spin drill bits at very high rates of speed, some models up to 2,000 revolutions per minute (RPM) or more, in order to penetrate tough materials to a desired depth. Different types of electric, cordless, and pneumatic drills are standard tools in mechanics' shops, manufacturing plants, and at construction sites. Unlike many other drills and power tools, heavy-duty drills usually need to be held with both hands. Due to its weight and power output, a heavy-duty drill typically features a stabilizing handle near the front of the tool, along with the more familiar trigger handle at the base. A worker aligns the drill on the appropriate material, applies a light amount of pressure, and squeezes the trigger. Heavy-duty drills are capable of boring through most types of construction materials using interchangeable metal drill bits. Most types of heavy-duty drill are powered by electric motors that receive their charges from power cords or rechargeable batteries. A standard electric drill features a cord that can be plugged into a wall outlet, ensuring a constant flow of power. Standard drills are commonly found in workshops and manufacturing plants where a power source is readily available. Cordless, battery-powered drills are often utilized at construction sites and other areas where it is impossible to connect to a power outlet. Batteries can usually hold their charge for several hours before needing to be plugged into specialized charging stations. A heavy-duty drill may also be powered by compressed air. Pneumatic drills are typically capable of reaching higher RPM levels than other types of drills, and are useful in boring through thick material. They are powered by stationary or portable air compressors, which provide streams of high-pressured air through specialized hoses. Pneumatic drills are frequently used to drill through slabs of concrete, masonry materials, and thick metal sheets. In addition to hand-held models, a bench top or floor mounted drill press is sometimes referred to as a heavy-duty drill. Drill presses allow for more control than hand-held drills, as a worker simply needs to align and secure a piece of material under a vertical drill bit. When the machine is turned on, the worker manipulates a lever to lower the spinning drill bit into the material. Drill presses are especially useful for repetitive jobs to quickly and accurately drill holes in metal or wood. What is a Radial Drill Press? What is a Horizontal Boring Machine? Does have a battery pack on a heavy duty drill affect the power of the drill when you compare it to drill that have cords instead? I know even when I have been using standard drills before, it just seems like the ones that have a cord have more consistent torque and are better suited for more demanding jobs. I don't know what kind of battery pack a heavy duty cordless drill would use, but it seems like it would have to be a lot more powerful than the type of battery a standard drill uses. Whenever I use my drill, the battery will wear down after a little over an hour of steady use. Plus, like I mentioned before, drilling into hard material drains the battery even faster. I guess my other concern using a battery pack would be the extra weight, since the battery would have to be bigger from the start. Maybe someone here can help me out, but what is the difference between a heavy duty drill and an impact drill. I was always under the impression that they were the same thing, but I was watching a home improvement show the other day where they were using what they called an impact drill to put a couple of bolts in the size of a concrete retaining wall around someone's house. It definitely wasn't the same thing as a heavy duty drill. It looked more like it was pneumatic in some way, but still didn't look like the pneumatic type of drill that I think the article was talking about. I guess it's not really that important. It is just something that I noticed while I was watching TV and was wondering about. @cardsfan27 - Well, I would say that the base of the bits is usually going to be the same, but the actual materials the bits are made of might be different. I know I had to rent a heavy duty drill not too long ago, because I needed to drill a hole through the masonry on the side of my garage. After I got the drill, I had to go out and get a special masonry bit, but it still fit in with the normal three-pronged chuck fastener. At least the way I think about it, if you are in need of a heavy duty drill, it is probably because you have a special situation where a new drill bit is needed. At least any situation I have encountered where a regular drill bit would work, I could always use a regular drill. Does a heavy duty drill use the same type of drill bits as a standard drill, or does it have a special type that you have to use? I am wondering more about the base of the bit and how it actually attaches to the drill. It seems to me like the regular bits might not be very stable. I am just asking because I saw a couple of construction workers using one not too long ago, and with the extra handle, it seemed like there was a lot of pressure getting applied to the drill that might require special bits. If there is such a thing as heavy duty drill bits, what is different about them compared to the bits that you might use in a regular drill around the house?